Published in time for the 2014 World Cup, the ultimate collection of soccer’s greatest lore and legends, illustrated with 100 black-and-white photos, by two of the world’s most knowledgeable soccer journalists. Why does a football match last 90 minutes? Who scored the fastest goal ever? Which match produced the largest number of red cards? Why are seven dead cats buried under a stadium in Argentina? Which country was banned from the World Cup after refusing to play in shoes? Providing answers to more than 100 questions, Hesse and Simpson explore the beautiful game as never before, shedding new light on legends such as Pele, Maradona, Messi, Beckham, Ronaldo, and Rooney, and uncovering lost histories of international clubs like Manchester United, Chelsea, Aston Villa, Real Madrid, Bayern Munich, and more. 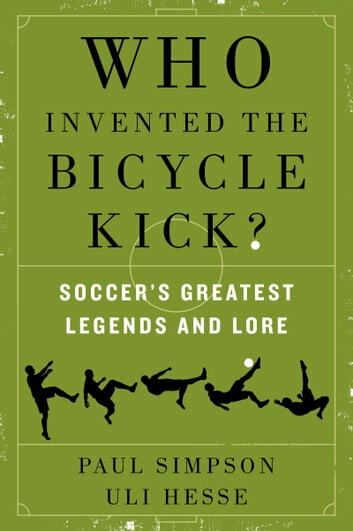 Challenging conventional wisdom, and destroying a few urban myths, Who Invented the Bicycle Kick? is a must for every soccer lover. 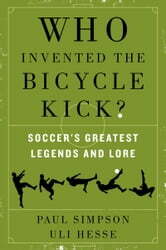 Books related to Who Invented the Bicycle Kick? Big Nate - True or False?